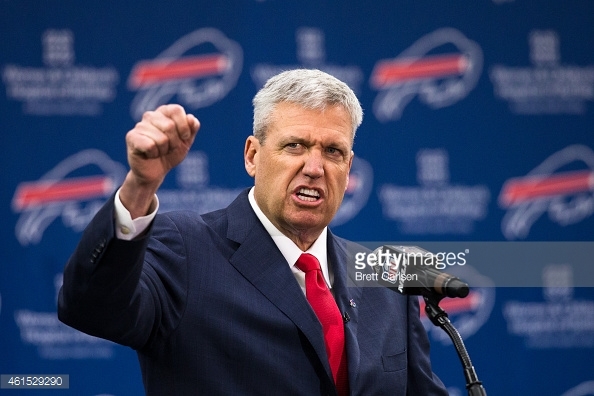 Deconstructing the AFC East: The Buffalo Bills | NFL News, as it happens, when it happens. Your one stop shop. The Bills are looking for their first playoff appearance since the Music City Miracle in January 2000 (Think about that for a second) and the optimism is high in Western New York. They have a coach with enough gumption and bravado in Rex Ryan that wants to return Buffalo to the Jim Kelly/Thurman Thomas/Andre Reed days. 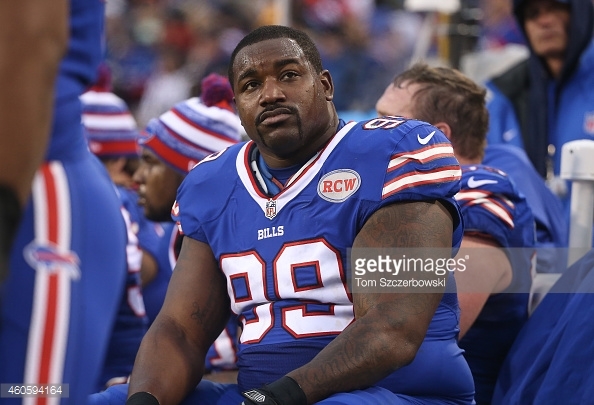 After having the 5th ranked defense last year, the Bills will move to a 3-4 and try to create a “bully”. Should the Patriots be scared? The Bills defensive line is a scary quartet. Mario Williams is an incredible edge defender and is a very good pass rusher (14.5 sacks in 2014), Marcel Dareus is a dominant tackle is who is just as good at rushing the passer (10 sacks) as stopping the run. Kyle Williams is quietly a dominant run defender and a leader on the team and Jerry Hughes has come into his own as one of the most dangerous edge rushers in football. Stephon Gilmore is one the best shut down corners in football. On offense, Sammy Watkins had almost a 1000 yards as a rookie with shoddy QB play and the additions of RB LeSean McCoy and TE Charles Clay has gave the Bills more weapons than they’ve had in recent years. WR Robert Woods is a competent #2 wide out and Percy Harvin is one of the most dangerous gadget players in the game. He automatically gives them a dangerous returner and is a threat every time he touches the ball. If they get at least somewhat competent QB play, they should be one of the best teams not only in the AFC East, but in football. The QB play. The trio of Matt Cassell, EJ Manuel and Tyrod Taylor leaves a lot to be desired. Like the old adage says: if you have 2 QB’s, you have no QB’s. Well, the Bills have 3, so the adage still applies. Ryan has boasted a playbook that is 75% run. No team can survive doing that, no matter who is their running back. Even if you could do that, you have to have a great offensive line…which the Bills don’t have. With only one really good starter (LT Cordy Glenn is a stud) and an average/above average C in Eric Wood, the Bills are still trying to find the other 3 starters. They are banking on 32 year old Richie Incognito, who has been out of football for a year, to be their anchor inside (which is telling) and 5th year pro Kraig Urbik and rookie John Miller battling out for the RG spot. Seantrel Henderson and Cyrus Kouandjio are battling out for the RT spot and Henderson was one of the worst RT’s in league last year. Unless they can fix the offensive line, it won’t matter who’s at running back, quarterback or wide receiver, the team isn’t going anywhere. It’s perplexing to change a defense that was so dominant last year, yet Buffalo has fallen for Ryan’s hubris and arrogance and is changing their defense. Their line backing corps leaves a lot to be desired. 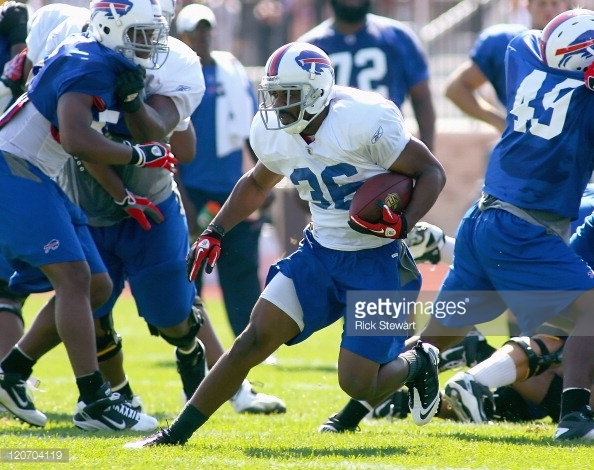 Nigel Bradham and Preston Brown will be their ILB’s and are solid, yet unspectacular. I don’t think that will be the problem more than the secondary. Aaron Williams is an average starter at SS and they moved Corey Graham, who was solid at CB to FS, which should make them competent, but who is starting opposite Gilmore? Leodis McKelvin is more of a nickel back at this point and rookie CB Ronald Darby/2nd year CB Ross Cockrell will battle for the other CB spot. What does all this mean? It means that for as much optimism there is, there are so plenty of concerns. Will they get a competent QB? Will the offensive line play better? Will the defense move to a 3-4 well enough? Can the defense carry the team to the playoffs? All these are viable questions that aren’t really going to be answered until the season starts. I think that the Pats have nothing to worry about when it comes to Buffalo as long as they are unsettled at QB and Rex Ryan continues to insist that running the ball is going to be what takes them to the next level. Could it work? Sure, but technically, it didn’t work with the Jets and it’s foolish to think that the Bills can do it with a lesser team than the Jets had when Rex took them to two back to back AFC Championship games. Initially, like in New York, the players will buy in early and then his personality will start rubbing guys the wrong way. Until they can prove that they not just run the ball, but throw it consistently, they will be an 8-8/9-7 team. Previous PostNFL-New England Patriots: Will Brady Retire Before Deflategate Is Resolved?Next PostNFL: Deflategate, Why would Roger Goodell Go After Tom Brady?